revolved around possession and picking our punches and not fall into the back and forth, fast and physical style that usually shows itself at the post-secondary level. We wanted the style of play to be enjoyable for the players and entertaining for our fans. The returning players were very blunt in what they wanted; on-field success. The coaches felt it from the first day. Next year I expect that feeling to be even stronger with the expected presence of our new home field! I had the honour of working with the same coaches again. Luciano Berardocco, Rino Berardi and GK Gerry D'Angelo were an integral part of what happened this season. We work well together. When you mix in Gary Condon, Kristin Campbell and Kelly Slappendel from our women's team staff, we have a very nice group that all work well together. I hope the players saw us all as one coaching staff for the entire soccer program. Gerry worked with the male and female keepers. Gary offered an experienced set of eyes when the men played. Kristin conducted the fitness components for both teams. Kelly continued coming out with the men's team after the women were eliminated. Our roster size was 25 players, including 4 goalkeepers. It was our second year with a roster of that size and it's something I am comfortable having. We had several players miss games due to injuries, suspensions, class, etc so the depth was needed. Could we have gone with a smaller roster? Maybe, but the mood and energy level at training was the force that kept us moving forward. We alos have to prepare some first year players to play the following year. Algonquin College. 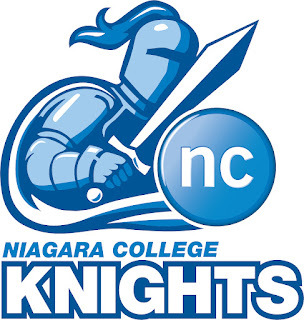 It's a new mark for a soccer team from Niagara College. We were the only school to beat Humber College this season, then the defending, but now the current, national champions. Our record this year was 3-3-2 with 13 goals for and 12 against. In 2012 we were 1-5-2 with 8 goals for and 18 against. So, numerically, we are moving in the right direction. We were also named OCAA Team of the Week in September and one of our players was the OCAA Player of the Week in October. The objective of the game is to score more goals than your opponents, but the program is about much more than that. I like the expanded roster because it allows us to deliver the student-athlete experience to more people. And competition at training was fierce. The day before the game we announce the 18 players who will dress. Spots opened up because of injuries and suspensions but, for the most part, the list of 18 never came easily. That was a testament to the efforts at training. In hindsight, there were some people who might have deserved more time but it's not that simple. Once the season starts, time passes at an alarming rate, leaving little time to thank and over-think. Losing a winnable game in our season opener put more pressure on us to fix things for game two and the season just rolled out from there. Our vision for a team environment is simple. Compete to make the roster, then compete to make the dress list and, finally, compete to get on the field. There were games where we made very few moves. The men's side differed from the women's side in the fact that one wrong move could open up the wrong hole and screw up your game. There were times where assistants made suggestions for moves, we discussed quickly and decided to leave things as they were. You always want everybody to play, but you also have a job to do. It's not the same as youth soccer. We are very competitive in a very competitive division. Our players in our program are good people. Our program has a good name in the soccer community. The players are proud of the program. We had a good level of respect among the players on the men's and women's team. If they are upset with me, fine, as long as there is chemistry between the players. We had a very nice training environment with the men and women training separately, but at the same time, with all coaches involved with both teams. Now our bar is set higher as Niagara College is going to host the 2014 OCAA Men's Soccer Championship. There is no automatic berth for the host as their is in volleyball and basketball so there is a push to qualify. L-R: Me, Rino, Amy (Therapist), Gerry and Luch. Players who did not dress still wanted to come on road trips. The increased level of support we receive from the school, on all fronts, in a big way. The increased fan support at home games. Having a therapist with us on the road. BIG! HUGE! HUGE! The sideline with Luch, Rino and Gerry during games. Our hard work is done at training. We smile during games. Be more organized with non-soccer admin duties earlier in the season. Investigate the possibility of one manger for both teams. Non-soccer social time for the teams earlier in the season. I would be lying if I said I wasn't interested in winning. But, at the end of it all, we do have to remember that we want to be a positive influence in the last stages of their formation as a person before they hit the real world. They will become parents, employees/managers, volunteers, etc. You have to make sure your time together is worth remembering and for the right reasons. The elevated expectations of our students athletes in the classroom and out in the community contribute to the holistic development of the person that graduates from Niagara College. The guys are eager to get to work and have been playing weekly futsal since the season ended. After Christmas we get back to work as a team. This involves fitness, futsal and hitting the weight room. We gave them some time away from us to enjoy each other as teammates and play, to catch up on school work and decompress from a crazy season. Lots of work leading up to the season, but I can already feel myself mentally preparing for day one of training camp in August. Our goal is clear. 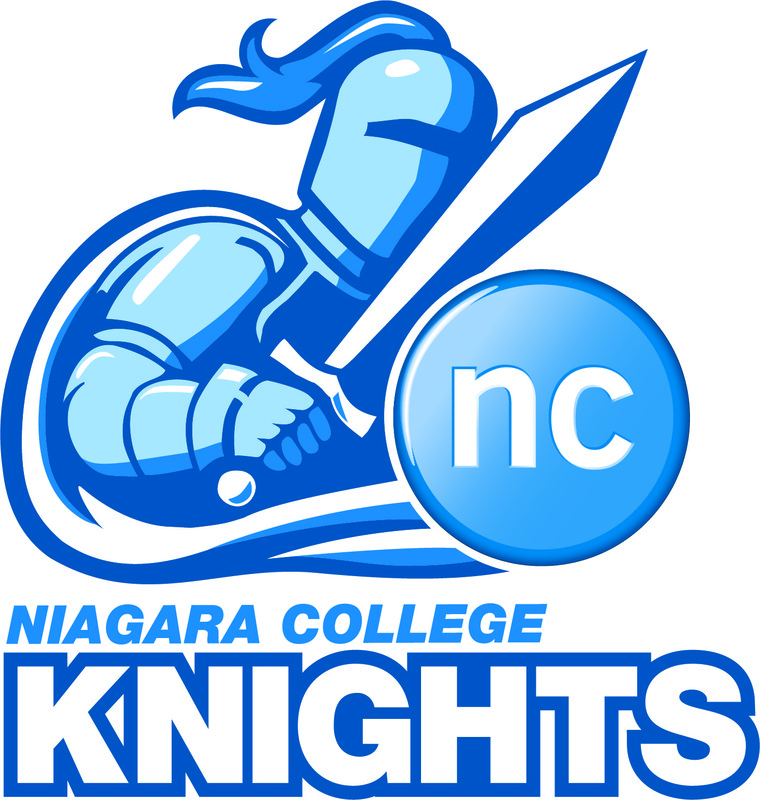 Through facilities, college support, the right people in place, clear expectations on and off the field and a nurturing culture, we will make Niagara College soccer one of the top programs in the OCAA. We definitely need at least one more pre-season game before competition starts. We had three pre-season matches this year. We need to tighten up tryouts and assemble the formal squad a lot earlier. I was caught a bit off guard by having 67 players show up for tryouts. We did cut the list down sooner and form our team earlier. We had some good players show up late after school started, but I didn't add anybody after the third match. I am not sure how I will handle that next year and will definitely seek Luch and Rino's thoughts on that. This year it didn't really happen. I will not assume the players are fit because they played during the summer. Firtess was a big part of our program this year. And it showed. We had a busy enough training schedule. I stayed away from weekend training but that may not be an option if we move back to school next year (no lights). We had a lit field at the Welland Soccer Club , so it wasn't an issue. I felt our communication level with the players was honest and we had no real problems with that. We would have to ask the players that. I do need to give more information to the players who are not dressing and playing as much. They would definitely appreciate information on how they can compete for spots on the field. This will never be good enough but we have to keep trying to improve. Some players said in their evaluations that roles should be communicated more. We had a LOT of conversations with people this year. obviously we didn't have enough. We had some yellow card trouble this season. I don't mind cautions for hard tackles, but the rest is controllable. This was still a bit of a problem this season. We definitely need time in the classroom watching one of our games and picking it apart, good and bad. We did not do that this season. We watched a game on the bus, but that's distracted. Not sure what happened. The season started and the next thing I knew, it was over. We also had a bit of a problem with personnel that affected the video recording of our games. I found this league to be "run and gun" and not very patient. But patience always won over when it did show it's face. We will have to consider how we will adjust the on-field product with that in mind. We have the returning players to do it. We did do this. When we slowed the game down and played intelligently, we were VERY good. Sometimes we did get sucked into a back and forth affair and that hurt. The message was there and will be louder next season. We have a much better idea for the type of athlete we are looking for to compete in the college league. Our team list better reflected the type of person and athlete we wanted.